1997 Oscars Revisited: What Should’ve Edged The Full Monty Out of Best Picture Contention? I recently rewatched The Full Monty for the first time in 15 years or so. Robert Carlyle and Mark Addy starred in this low-key British comedy about a group of unemployed everymen who band together to form a poor man’s Chippendales. It’s a movie of very modest pleasures, a simple story about reclaiming one’s pride. Carlyle is about to lose visitation rights with his son if he doesn’t come up with some £700. Overweight Addy believes his wife no longer desires him. Among the other four newbie strippers is elder statesman Tom Wilkinson, on the dole for six months unbeknownst to his wife. It’s cute, chaste, and suitable for most viewers older than 12 or so, despite the R rating. It became an unlikely critic’s darling and a sleeper hit in U.S. with a gross of $45 million (it raked in a jaw-dropping $211 million overseas). That writer Simon Beaufoy and director Peter Cattaneo didn’t really seem to be trying all that hard seems to be exactly what endeared the film to so many. The Full Monty manages to charm in such an unforced way, it’s hard to hold any ill will against it. But come on, a Best Picture nomination? At the time it was hailed as a triumph of the underdog – the little British import that could. This perplexing choice occurred long before the number of Best Picture nominees was expanded to nine or ten. I almost hate to pick on it, because the other 1997 nominees were generally so weak. As Good as It Gets is a close second as the least deserving nominee that year, but even that one provided a little more depth of feeling than Monty. It could be argued that the other nominees were irrelevant anyway, because nothing stood a chance against the unstoppable juggernaut Titanic (which easily deserved its win out of the five, which also included Good Will Hunting and L.A. Confidential). So what should have received the Best Picture nod given to The Full Monty? This is really like shooting fish in a barrel, with all the movies that absolutely buried the thin Monty that year. My first inclination is to suggest Starship Troopers, Paul Verhoeven’s inimitable satire of a fascist future. The film works as a killer action/sci-fi film (something almost universally ignored by the Academy), but also as a funny, biting, intelligent piece of social commentary. It has been called one of the most misunderstood Hollywood blockbusters (or, more accurately, wannabe-blockbusters) of all time. It never stood a chance at the time, viewed as failure in commercial and critical terms. I wonder how many people feel differently all these years later. So given that Troopers had too many factors working against it at the time, here’s my pick: The Edge. Directed by Lee Tamahori, this tense survival thriller fell through the cracks in the fall of ’97. No less a talent than David Mamet wrote the screenplay. And in a truly magnificent battle of thespians, Alec Baldwin and Anthony Hopkins turn in some of the most underrated work of their careers. On the run from a bear after their plane crashes in a remote part of northern Canada, Baldwin and Hopkins make an unforgettable odd couple. Summoning his most masculine, brash, forthright traits, Baldwin constantly clashes with Hopkins’ bookish, fierce intelligence. As they try to stay alive, a tangled, complex backstory emerges. Tamahori keeps the pace wire-taut, Mamet’s dialogue is characteristically sharp, and the acting is incisive. The Full Monty was nominated for a total of four Oscars, even managing to win one (Best Original Musical or Comedy Score – Anne Dudley). 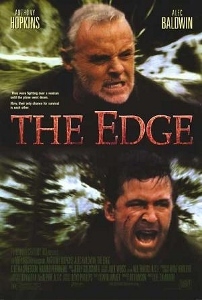 Though it didn’t bowl over audiences in September of 1997, The Edge would’ve been a far better choice. My choice for Best Picture would have been “L.A. Confidental”, because it was an absolute accurate depiction of an era considered lost. My other choice would have been Ang Lee’s “The Ice Storm”. Wow you lost all credibility with that – CopLand? 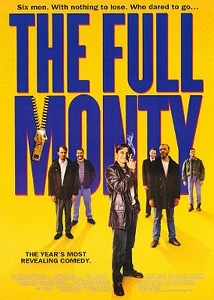 also Full Monty has more depth than As Good As It Gets – not to mention better structure and acting. I mean I see what you’re saying about it being a light movie, but actually Full Monty is deceptively deep actually. David – Ice Storm, a good choice. Anon – You’re darn right Cop Land. Over Full Monty? Any day. The thing is, I’m not saying Monty doesn’t have some depth to it. It’s a frothy, fun little comedy about re-discovering one’s self-worth. I just think those other movies I mentioned are more interesting.